Compensation - Recommendation of the Maruthamuthu Committee for creation of Corpus Fund to make payment of compensation awarded by courts - Accepted - Creation of Corpus Fund – Orders – Issued. 1) G.O.Ms.No.133, Health and Family Welfare Department, dated 9.7.2002. E7/2/99, dated 17.2.2003 and 24.3.2003. In the G.O. first read above orders were issued on the recommendations of Justice Maruthamuthu Committee constituted to give its report suggesting guidelines and measures to be adopted in respect of litigations in court arising out of the mishaps. In the said Government Orders were issued inter-alia for the creation of Corpus Fund from the contribution of Rs.10/- (Rupees ten only) per month from every doctor. 2. The Director of Medical and Rural Health Services, in his letter third read above has sent proposals for the creation of a Corpus Fund. 3. The Government accordingly constitute a Corpus Fund to provide compensation awarded by the courts on the cases filed against Government Doctors for occurrence of Medical mishaps. Each Government Doctor will contribute a sum of Rs.10/- (Rupees ten only) per month to build up the above fund. 4. The monthly subscription of Rs.10/- from each Government Doctor shall be recovered from the salary from the month of April 2003. 5. The Commissioner of Treasuries and Accounts shall administer the Fund. The transaction will be subjected to Audit by the Internal Auditor and Chief Auditor of Statutory Board. 6. The monthly subscription of Rs.10/- recovered from the said doctors shall be credited to the following new head of account. 7. Sanction of compensation awarded by the court shall be debited under the following new head of account. 8. The Director of Medical Education / The Director of Medical and Rural Health Services / Director of Public Health and Preventive Medicine / Director of Family Welfare shall process the sanction of compensation awarded by the court in respect of the said doctors under their control taking into account of the recommendation of the High Level Committee constituted under the Tamil Nadu Government Doctors Corpus Fund as in the Annexure to this order and accord sanction for the amount of compensation payable from the Corpus Fund and forward the same to the Commissioner of Treasuries and Accounts. 9. The Commissioner of Treasuries and Accounts shall issue Cheques / Demand drafts as the case may be based on the sanction accorded by the Director of Medical Education / Director of Medical and Rural Health Services / Director of Public Health and Preventive Medicine / Director of Family Welfare and intimate them. 10. The Commissioner of Treasuries and Accounts shall be the Estimating, Reconciling and Controlling Authority for the above Head of Account. 11. No schedules need be attached to pay bills for the deduction made nor separate accounts maintained therefor. 12. Pay drawing Officers will be responsible for the prompt recovery subscription. 13. The rules framed for administrating the scheme are appended to this order. 14. The operation of the Corpus Fund will be reviewed after one year depending upon the functioning of the scheme. 15. This order issues with the concurrence of Finance Department vide its U.O.No.29/JS (Per) /2003, dated 22.4.2003. The Director of Medical Education,Chenai-10. The Director of Family Welfare, Chennai-6. The Accountant General (By name), Chennai-18. The Commissioner of Treasuries and Accounts, Chennai. The Pay and Accounts Officer (North), Chennai-1. The Pay and Accounts Officer, Madurai. All the District Treasuries Officers. The General Secretary, Government Doctors Association. The Finance (BG.II) Department, Chennai-9. Draft Rules Governing the Constitution of a Fund for the purpose of 'Corpus Fund' to Government Doctors for Occurrence of Medical Mishaps. 1. 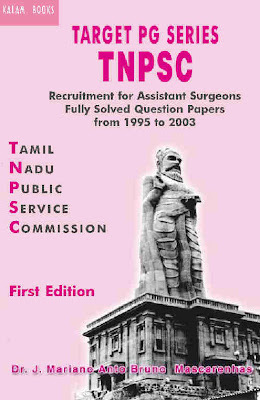 These rules shall be called " Tamil Nadu Government Doctors Corpus Fund Rules 2003"
The scope of these rules shall be to constitute a separate fund for the purpose of granting compensation or to deposit compensation amount in the courts for filling appeal so as to meet the judicial cost of cases for occurrence of Medical Mishaps during treatment in Government Medical Institutions. 4. The Commissioner of Treasuries and Accounts shall be the Administrator of the Corpus Fund. The Commissioner of Treasuries and Accounts shall issue Cheques / Demand drafts as the case may be based on the sanction accorded by the Director of Medical Education / Director of Medical and Rural Health Services / Director of Public Health and Preventive Medicine / Director of Family Welfare to the payee as mentioned by them in the sanction order. These rules shall extend to the whole of the State of Tamil Nadu. These rules shall apply to all Categories of full-time, part time, regular (time scale) and temporary service Government Doctors in the Government Medical Institutions of the Government of Tamil Nadu. There shall be constituted a fund for the purpose of granting compensation for depositing compensation amount in the courts for filing appeal in cases of alleged Medical and Surgical Mishaps in Government Medical Institutions. 7. The fund shall be constituted with a monthly subscription of Rs.10/- (Rupees ten only) from each Government Doctor from his / her salary every month from the month of April, 2003 and the amount shall be credited into the deposit Account. The Pay Drawing Officers shall recover the amount of subscription and credit the same to the fund by enclosing necessary schedule in the pay bills. Copy of the schedules shall be sent to the Commissioner of Treasuries and Accounts through Pay and Accounts Office / Treasury. The Tamil Nadu Government Doctors Corpus Fund constituted under these rules shall be a separate fund under the governance of the State Government. 10. A High Level Committee is constituted at the State level as shown in the Annexure of the Rules for scrutinising the applications received for payment from this fund and for ordering the payment from out of his fund. The High Level Committee shall sit and frame guidelines for scrutinising the applications received for payment from the corpus Fund.